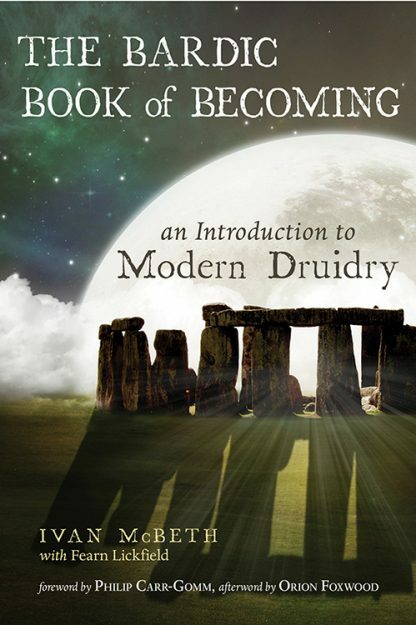 Red Wheel ∕ Weiser Online Bookstore | The Bardic Book of Becoming: An Introduction to Modern Druidry by Ivan McBeth, With Fern Lickfield, Foreword by Philip Carr-Gomm et al. In this book you will be introduced to the various techniques and practices of a Druid in training. Written by Ivan McBeth, the cofounder of Vermont�s Green Mountain School of Druidry, the book incorporates lessons, visualizations, rituals, and magical stories. Many different activities and exercises are included that provide the reader with hands-on learning. Ivan also provides personal stories that demonstrate his own journey from spiritual seeker to Druid. Ivan McBeth, a Druid in the Order of Bards, Ovates, and Druids (OBOD), founded the Green Mountain Druid Order, a modern mystery school based in Worcester, Vermont with his partner Fearn Lickfield. Ivan�s passion was the creation of sacred space, especially stone circles. A founding member of the Circles for Peace project in the United States, he was co-responsible for the Burlington Earth Clock and 25 other full-sized stone circles around the world, including the large Swan Circle on the site of the Glastonbury Music Festival in the UK and the Kinstones in Wisconsin. Ivan died in 2016.